With the second-generation, redesigned Chevrolet Equinox, General Motors attempts to prove the automaker is steering the right direction by offering up the top fuel economy in its class. Available in four cylinder and V-6 fuel-injection engine variants, the Equinox is a better value at the lower end, as long as towing a boat around isn’t necessary. Inside, the Equinox touts an attractive, yet comfortable interior design with standard OnStar and an optional top-notch entertainment system. It also has the added bonus of having an entertainment console that resembles Optimus Prime’s visage. Gotta hand it to GM for managing to squeeze decent gas mileage out of a vehicle one step removed from SUV-hood. The well-sealed cabin and new aerodynamic design makes for a noticeably quiet drive, which is great for city dwellers or talk radio lovers. The four-cylinder engine option has decent pick up and doesn’t feel sluggish even on ECO mode. Major missteps by designers are the wide B-pillars, which result in blind spots, especially on the driver’s side. The higher-end, fully-loaded LTZ model seems pointless at nearly $35K and the added V-6 engine erases the fuel economy savings. In short, GM should have gone for sporty, not luxury with the LTZ model. 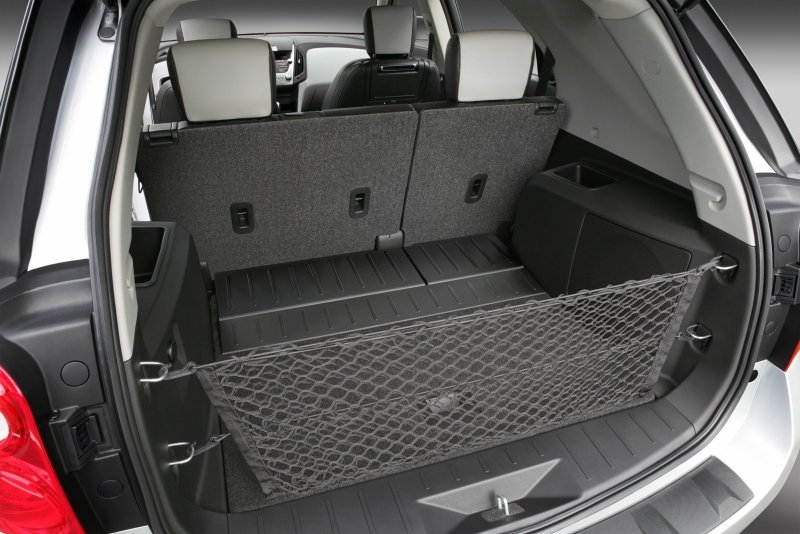 Options like removable seats or extra storage would have better served the families of four who will likely be the car’s main market. The Equinox has a good deal of pep and, at the four-cylinder level, responds well to punching the gas without clunking clumsily into gear. It corners decently compared to competitors, doesn’t feel top-heavy and does a decent job at minimizing body roll. That said, it is still more SUV than standard auto, so some lean is detectable at the speed limit. You won’t be chasing Porsche Cayennes around winding mountain roads, but you also won’t feel like you’re about to topple over when moving quickly. The V-6 version is faster, but transmission shifts weren’t as smooth. 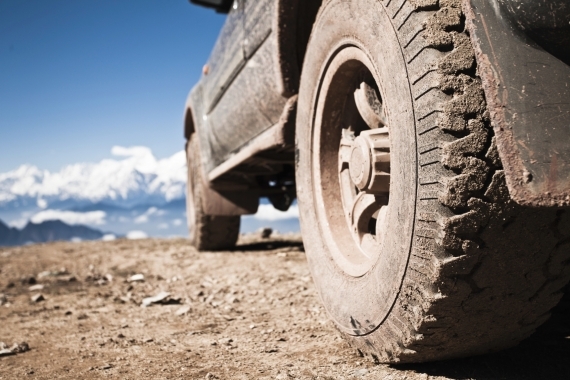 The larger engine’s minor benefits mean it makes more sense to go with the four-cylinder unless towing is a necessity. 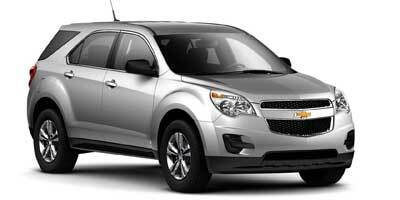 The Equinox provides a choice of a 2.4-liter four-cylinder or a 3.0-liter V-6 direct injection engine option mated to a standard six-speed automatic transmission. The four-cylinder produces a respectable 182 horsepower to the V-6’s 264 horsepower, but if you’re looking for fuel economy the V-6 won’t cut it. Optional all-wheel drive is available for all trim levels except the low-end LS, but the four-cylinder FWD option offer more than enough power for a family of four. 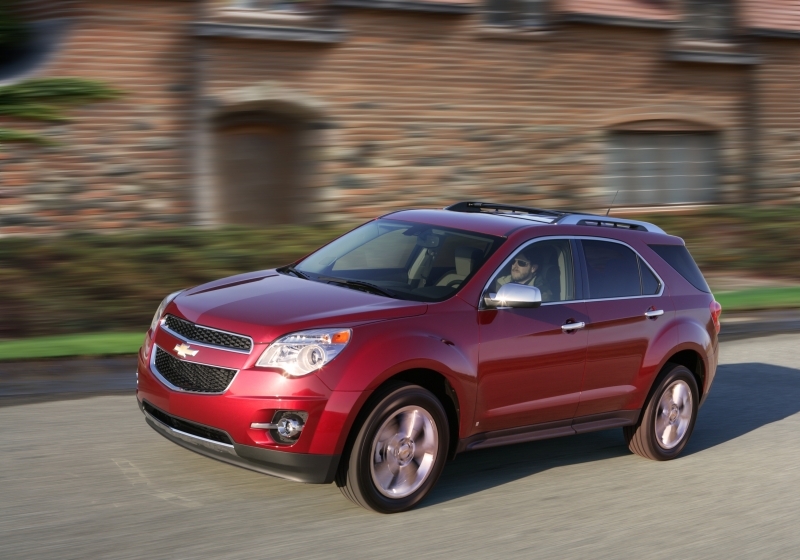 The Equinox features systems perfect for the roving family. Microphones implanted in the roof as a part of the Active Noise Cancellation Technology detect booming noises and cancel them out while triple seals and acoustic glass add extra cushion from the outside. A rearview camera projects either on center console or directly on your rearview mirror so you have a full view of the top and bottom of your rear. Lastly, the Equinox offers an alternative, energy-saving ECO mode standard on vehicles with four-cylinder engines. The ECO button works by changing the transmission shift points and locks up the torque converter sooner for around one mpg savings. 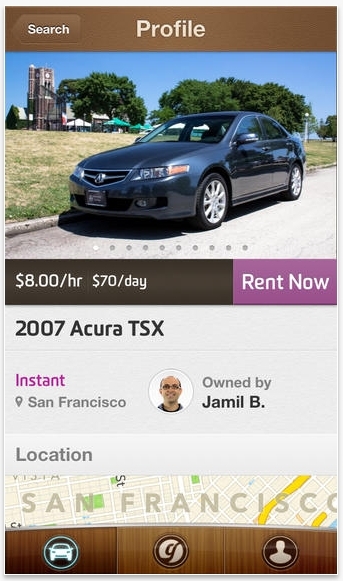 If you have the cash, then the fully-loaded version will make you want to sell your house and live in your car. Dual independent DVD/gaming screens flip up in the back seat, and a USB connection allows direct connection to mp3 players. 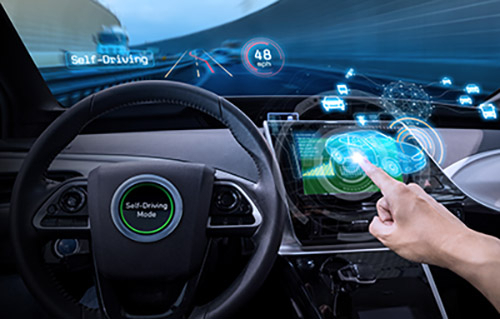 Bluetooth, a futuristic touch screen navigation system and a rear vision camera allows for multitasking, which may or may not be a good thing for safe reversing, and is a must-have if you plan on multitasking on the road. Every GM rep is saying fuel economy with a smile, and the Equinox is the company’s prize, beating Honda and Toyota (though not by much) for the top spot in its class. The 184 hp, 2.4-liter four-cylinder touts 22 city/32 hwy MPG, whereas the meatier 264 hp 3.0-liter V-6 inches in at 18 city/25 hwy MPG. The addition of an “ECOâ€ button conserves fuel without sacrificing power, though it will only save about 1 mpg here or there. 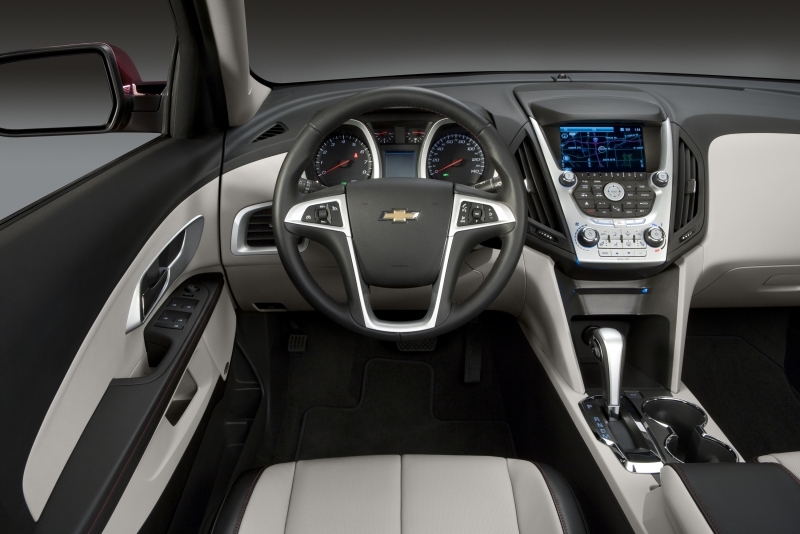 Ultra-comfortable and supportive foam seats make the Equinox an ideal vehicle for longer drives. Opt for the cloth option over the leather, as it’s just as attractive and has a sportier look that the more luxurious (and overpriced) option lacks. Full-grown passengers will rejoice at eight-inches of fore-aft travel in the back seats. Designers have smoothed out the edges and designed a crossover that takes cues from Malibu, and stays far away from the Expedition and Tahoe-inspired earlier models. An optional power liftgate allows for controlled height. Prices range from the base LS trim at $23,185 (an almost $2,000 difference from the earlier models) to the top of the line LTZ at around $35,000. 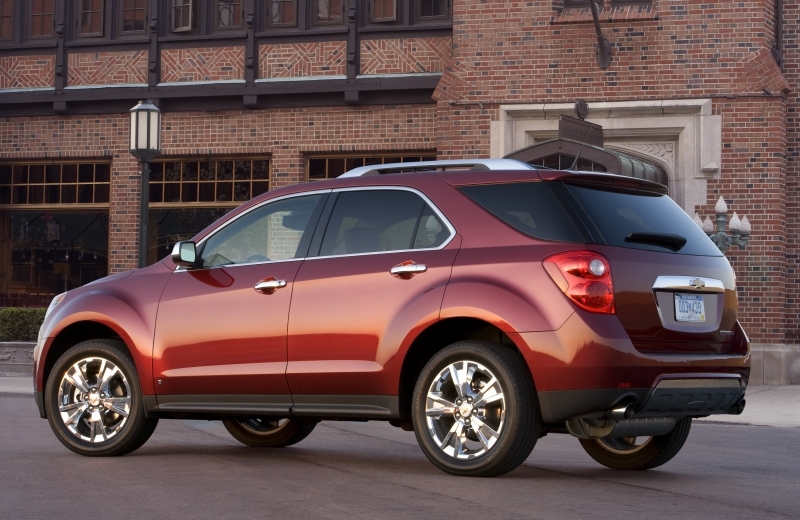 The base LS price puts the Equinox in the lower end of the mid-$20,000 compact crossovers. The four-cylinder FWD version is a perfect car for families with kids and teenagers or those who just want to be higher off the ground. But the higher end V-6 LTZ feels like it’s trying to hit consumers in the luxury market instead of trying to hit sporty couples or families more likely to buy a Chevy. The Equinox is proof of GM’s push to improve gas mileage and make more aesthetically pleasing vehicles.